Our roll shutters are the most convenient and popular storm and security protection available today. This is a product easily designed into your home so there is little or no visual proof they are there until you close them. Roll-up style shutters can be installed easily on existing buildings. Regardless of the type of installation, the benefits are the same. 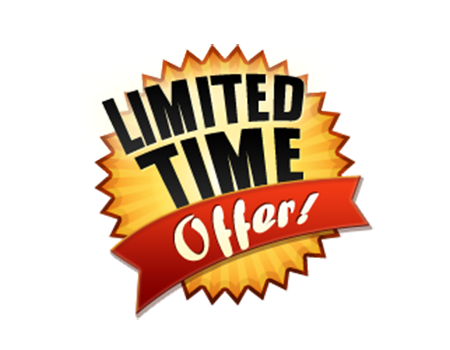 Limited time sale on Roll Shutters, Bahama Shutters, Fabric Sheild Panels, Aluminum Hurricane Panels and MORE! 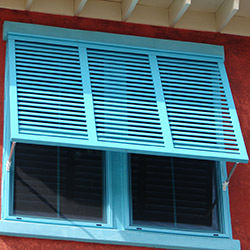 The Bahama Shutter is one of today’s most unique shutter styles, one that provides protection from the sun and weather without obstructing your view. Made popular in coastal and tropical climates, the Bahama Shutter is an excellent addition to many exteriors. Our exclusive Dual Screen System is the only retractable product to offer both a hurricane shutter and an insect screen (or shade screen) in a single unit. The screens within this all-in-one system are individually controlled and can be deployed or retracted at the touch of a button. Easy to install, easy to use, and easy to look at, the dual screen system can fit neatly within your stylistic vision while quietly providing specialized year-round weather and insect protection. Our Rolling Shutter Systems offer security, privacy, storm protection, energy savings, and sunlight control. The Perfect architectural complement, Bahama Shutters also provide maintenance free beauty and storm protection. Colonial shutters continue to offer convenient storm protection with a distinct, Old South architectural flair. 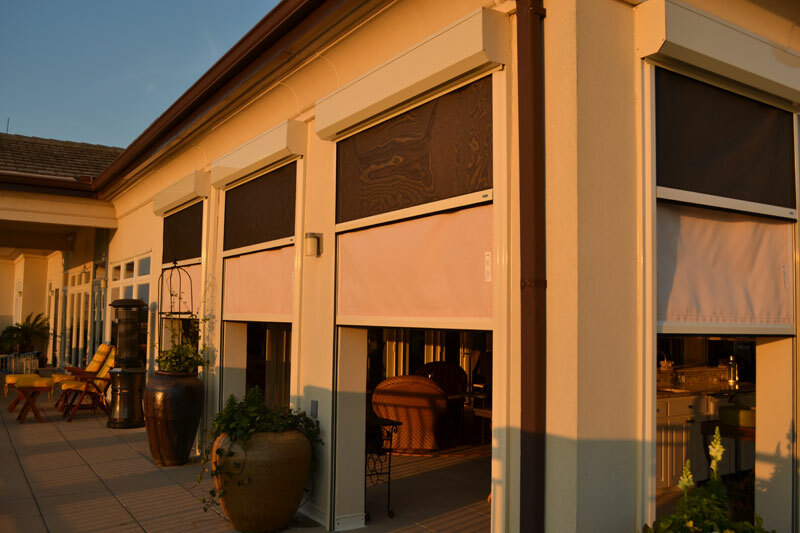 Perfect for more than just patios, Oasis Patio Shades add on-demand shade and comfort to a variety of outdoor living areas. We realize that living in paradise comes with the threat of hurricanes. However, protecting your home can be accomplished easily and beautifully. Imagine having your hurricane shutters deployed at the touch of a button. Security shutters are a visible deterrent, that provide a physical barrier. Shutters can be locked with extra locking mechanism, such as bolt locks or key locks. Our Clear and Aluminum Panels are the economy storm protection system offering excellent hurricane protection at a low cost. Tracks make for an easier installation when the time comes and are available in four colors white, ivory, beige, and bronze. Shade sails are artistic canopies that provide sun shade and UV protection for playgrounds, swimming pools, backyard patios, and other outdoor living spaces. Choose from squares and triangles in a variety of colors and sizes to create the perfect outdoor gathering spaces. With its operable motorized roofing system and drop shade options, the Pergotenda is the ideal solution for contemporary architectural settings. The structure, anchored to a supporting wall, is made of aluminium, but the exclusive anodising treatment, available in bronze and aluinox colors, creates an unmatched aesthetical effect. If you have any questions concerning our products or services, we urge you to call us today. We service all brands of exterior shutter systems. A representative of Seacoast Systems will be more than happy to assist you. Seacoast Systems can supply professional installation, or the products can be purchased without installation but with comprehensive technical assistance throughout the installation process. These products will give you realistic hurricane protection and peace of mind. Seacoast Systems’ Hurricane Shutters offer maximum protection to any window shape: from triangular frames to circular; from complicated openings to regular. 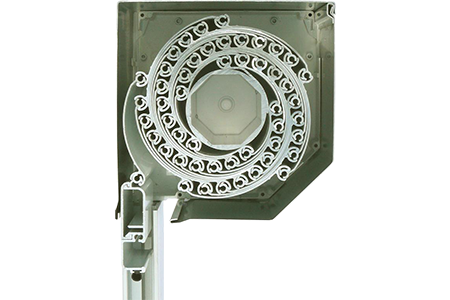 What sets our hurricane shutters apart from other shutter systems? Simple...quality, versatility, speed of production and value, and—above all—custom manufacturing to fit any shape. If you have any questions concerning our products or services, we urge you to call us today. A representative of Seacoast Systems will be more than happy to assist you. We have done work over the last 11 years on Pleasure Island, Topsail Island, Bald Head, Figure 8, and Wrightsville Beach and have extensive references with architects, contractors and homeowners. Seacoast owner, Jonathan Summit, has been in the industry for 26 years and does all of the order specifications and production sheets and oversees each installation. The challenge of designing good looking, functional installations without detracting from the home design is our specialty. We can design roll down installations that conceal the systems into attics, overhangs and or reversed into the walls. Trim specifications, pre-wiring, electrical layout, remote control systems, and override systems are some of the issues we deal with regularly. Seacoast Systems is glad to service any of your existing shutter systems. This can include testing, cleaning, lubricating, replacing parts at the same time. We say that the only maintenance free shutter system is one that you maintain by keeping it clean. A clean shutter will last a lifetime. An unmaintained shutter will start to deteriorate in as little as 3 years depending on exposure. Our knowledgeable staff can assist you with your shutter parts and service questions. We can ship you parts. We also have hardware for traditional colonial and bahama style shutters available. We can source parts for many older systems in a matter of days. Please consider for the care of your shutter systems. When we decided to buy hurricane protection for our home we looked at several alternative products and company’s to do the job. But, boy are we glad we chose the hurricane shutters and team behind Seacoast Systems. You impressed us with the knowledge you had of your product, your attention to the architectural design aspects of the job, and your pricing was very competitive. Having selected Seacoast Systems we couldn’t be more pleased now with the addition of the hurricane shutters and appearance of our home. We are very pleased with the shutter project. Please know that we will gladly recommend your company to anyone we know that is in the market for hurricane protection. Just wanted to let you know how pleased we are with the rollup storm shutters that your company installed on our beach home. They have protected our home through several storms since they were installed and continue to serve us well. Also your crew that installed and maintains our shutters was and is very professional and responsive to whatever our needs have been. Thank you for a great job. I highly recommend your company and your products to anyone considering a storm shutter installation. Just wanted to tell you again how impressed we were with your crew. They were all very nice and courteous. I have worked in and around construction for 30 years and your guys were as good as any I have worked around at keeping the work site neat an organized. They cleaned up after themselves every day before they left. Unfortunately, we have had some issues with contractors in this area showing up when they were supposed to and performing the work they promised. This was not the case with your company. Robin was especially helpful and communicated with me so that I always knew the status of the project. He made sure we did a walk thru and he explained how everything worked and gave me pointers on maintenance tips to keep the shutters working. Really appreciated his customer service and getting to know him. Thank you again for delivering your services in such a professional manner. We recently purchased a new home on Oak Island, NC. Very soon we realized the need for additional shade for the south facing areas, especially our porches. Several companies provided us with bids for exterior Bermuda shades, but each seemed "average" in both service and product quality. Since our desire was not an O.K. - it's done sort of thing, we decided to call one more company, Jonathan at Seacoast Systems and are so glad we did. He arrived promptly at the appointed time, provided clear details of all options, references and, did not pressure us. Since our ultimate goal was longevity and overall attractiveness, he showed us actual samples of available product and photos of other homes with the same shades. He took extra care when measuring and noting specific features as to how they would be affixed and work. His installation crew was very polite, careful and cleaned up everything; completely professional. Honestly, after the shades were up, I was amazed at how perfectly they fit - just so. Just wanted you to know how very pleased we are with our porch sliding shutter doors! They are wonderful! They work just as we wanted and have provided us with a level of privacy more than we anticipated. Our neighbors have loved them as well. Matter of fact, everyone has loved them.